The deconstruction of the ultimate glamour statement, red, is one of the big beauty stories for AW17. 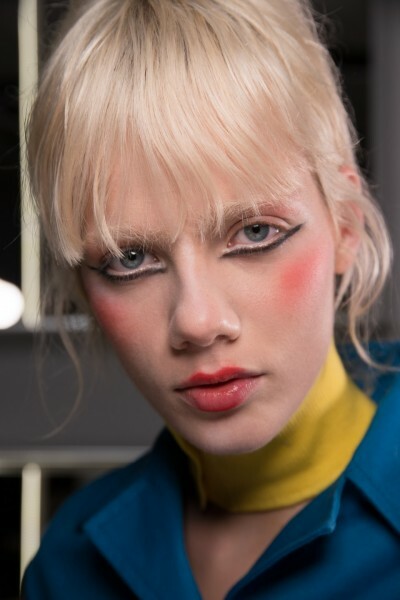 It’s moved away from being just a lip statement and has appeared as decadent accents on eyes or healthy flushes on cheeks, with stories ranging from grungy Geishas at Kenzo to ravaged left-overs at Preen. 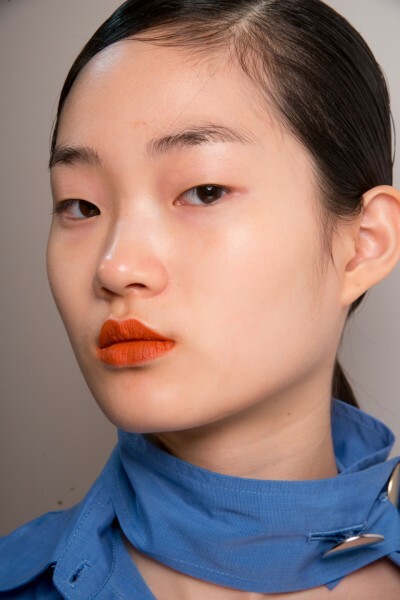 It’s an interesting departure from a perfect power lip, with beauty preferring to explore aspects of romanticism and softness with an edge. 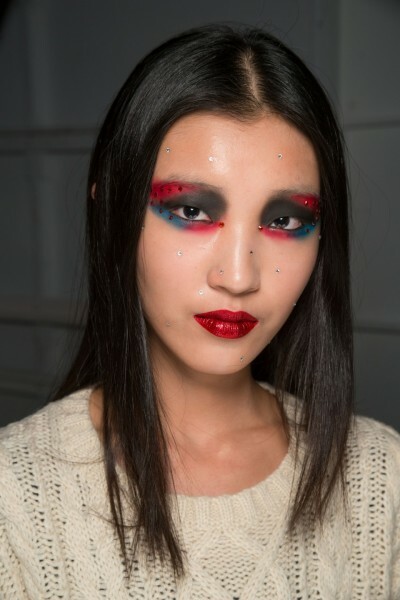 This idea of a looser, more blurred, rubbed in interpretation of a red lip speaks of how women are keen to rid themselves of the strict uniformity of beauty and seek a renewed sense of femininity and energy. A return to the flushed, outdoorsy face felt very much reactionary to years of being told to follow blueprint contour recipes. It’s a definite return to sensuality and effortlessness.